INDIANAPOLIS -- A local shelter is helping ex-offenders get back on their feet and find jobs in the hopes of keeping the out of prison. Horizon House held a forum on Tuesday. They’re one of few homeless shelters who work with ex-offenders to try and help them get back on their feet. Nearly 50 percent of their clients are ex-offenders. 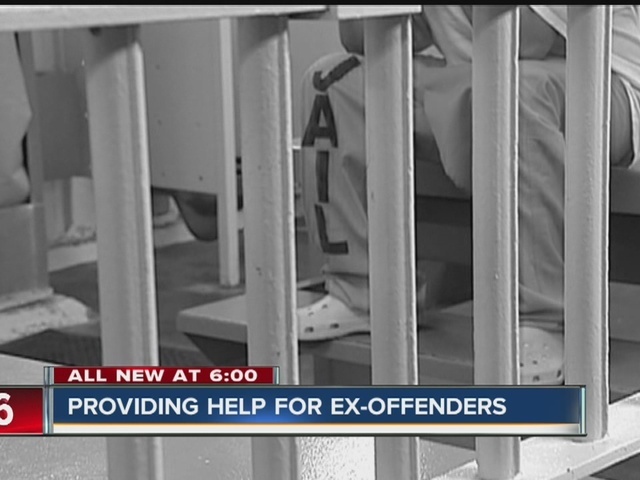 Every year 5,000 – 8,000 ex-offenders return to live in Marion County. Of those, 51 percent will end up back in prison within three years. Damon lane, 43, is one of those ex-offenders. He served five years in prison for dealing drugs 20 years ago. Now, he’s helping ex-offenders like him. “If I was always looked at as a crime, I wouldn’t be sitting before you today with the mayor’s office,” said Lane. Edward Ball is another example of perseverance paying off. Ball spent 14 years in prison for a variety of felonies. Now, he works for Goodwill as a store manager. So far this year the Horizon House has helped 1,000 ex-offenders find jobs and get back on their feet.